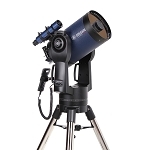 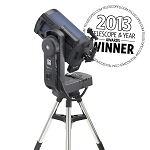 The LX850 Telescope System with German Equatorial Mount and StarLock from Meade Instruments consists of a 14” f/8 Advanced Coma-Free (ACF) Optical Tube Assembly (OTA), Starlock Dual Imager Full-Time Autoguider, AutoStar II GoTo System, a German Equatorial Mount, and a heavy-duty tripod. 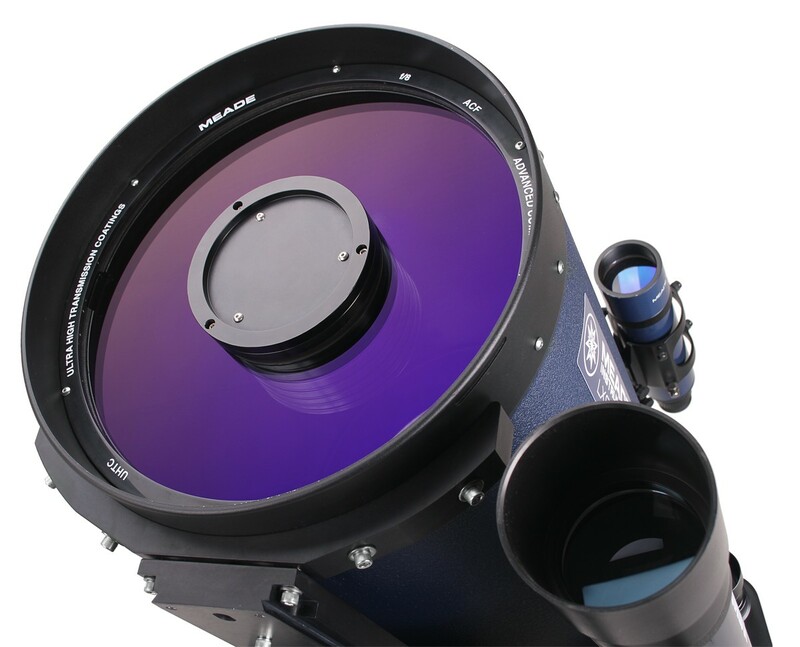 The LX850 Telescope’s OTA features 14” f/8 ACF optics with high-contrast baffling that allows for a wider, flatter field and ensures that pinpoint star images are visible even at the very edge of the field of view. 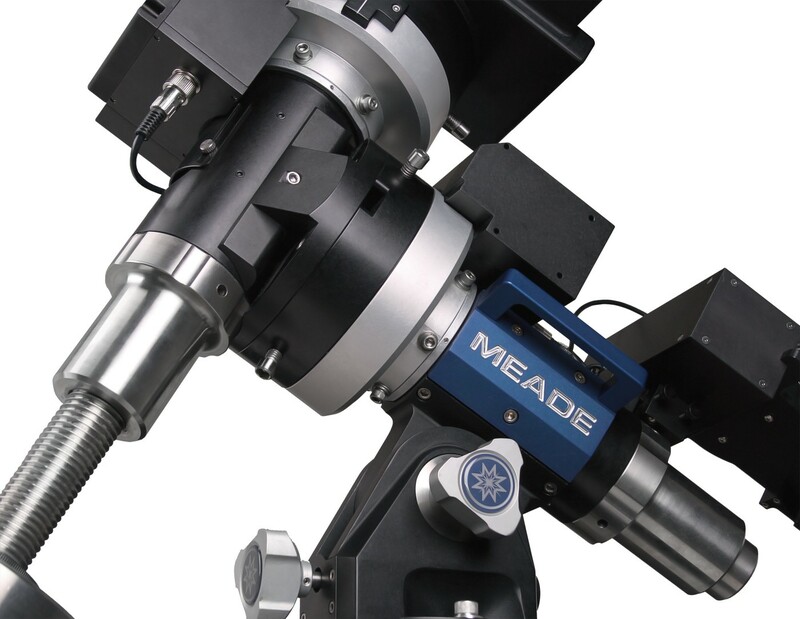 Meade’s UHTC (Ultra-High Transmission Coatings) on the OTA optics reduce light loss through reflection or transmission, and allow for high image brightness and contrast. 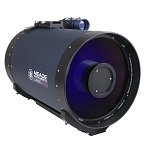 Thanks to the ACF optics, this telescope ensures reduction in astigmatism and elimination of diffraction spikes. 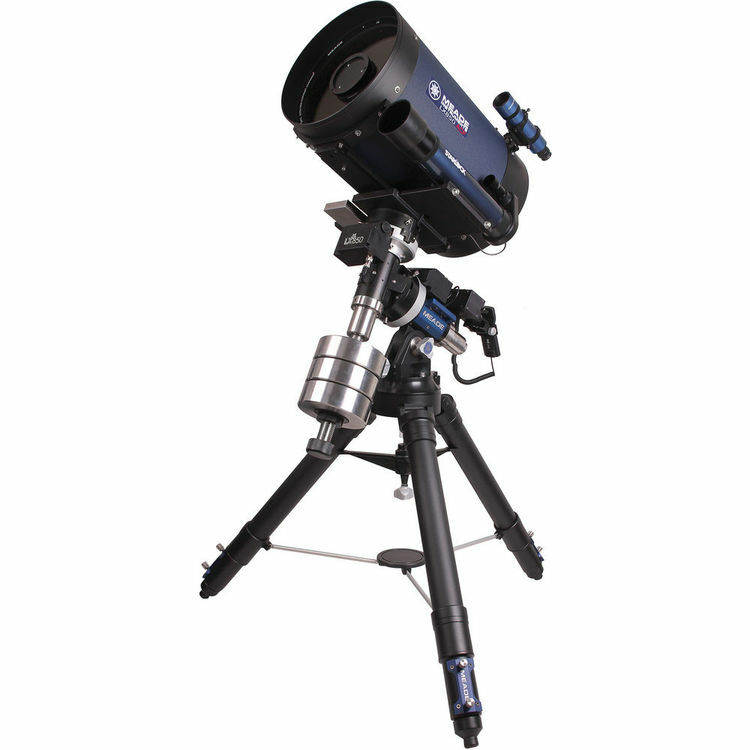 The LX850 telescope comes with the HD-60 25mm Eyepiece that has a large, 60° apparent field of view (AFOV) and a long eye relief for effortless, comfortable observation. 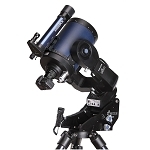 The telescope comes with the Autostar II GoTo system that can command it to automatically slew to any of the 144,000 objects in its library. 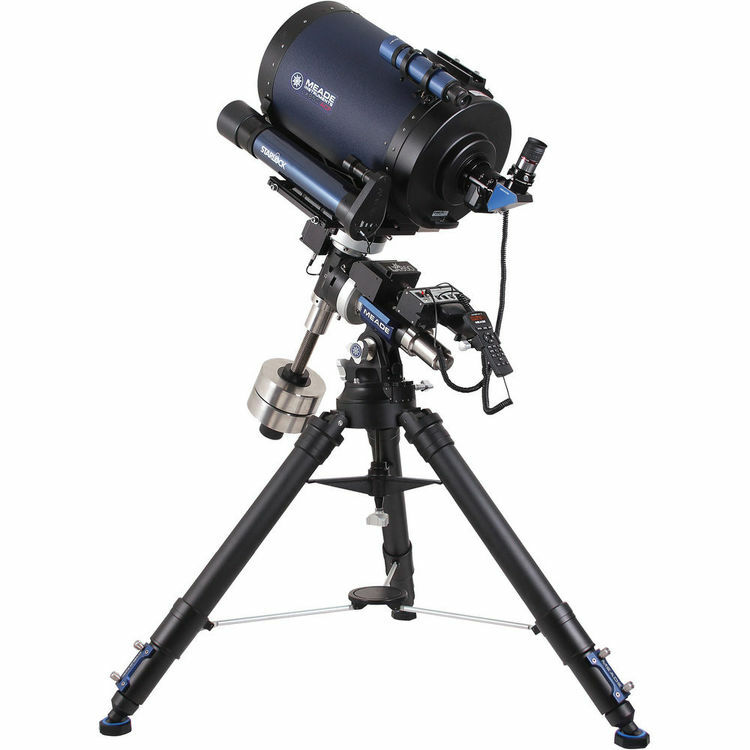 Other features include a GPS receiver, precision roller bearings on both axes, precision pointing and assisted drift alignment, 5.8" 225-tooth polished bronze worm/gear drives with low periodic error, fine manual adjustment controls on both axes, illuminated reticle output port, and internal cable routing. 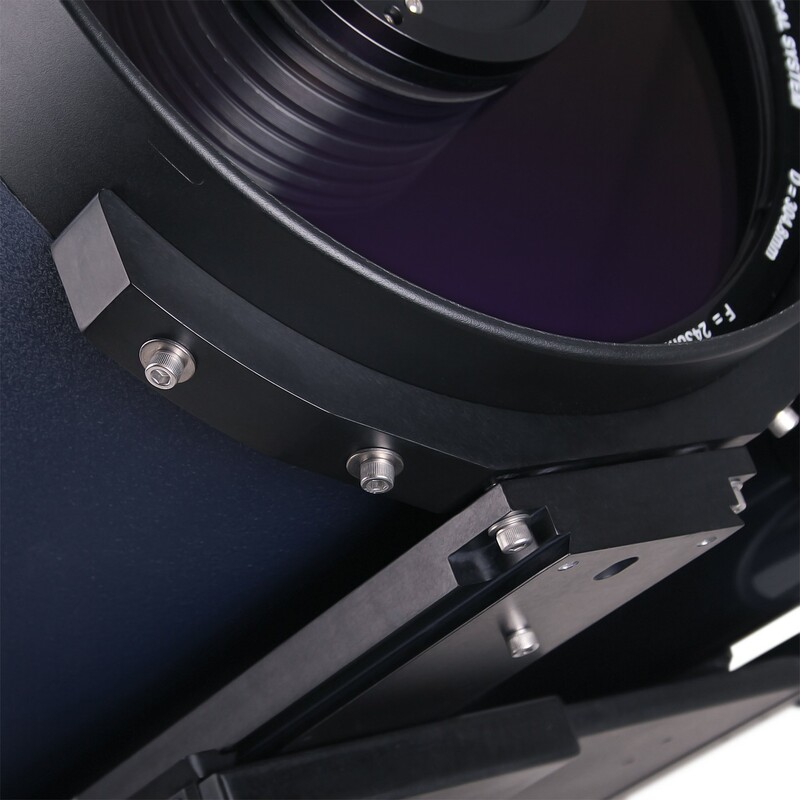 Three 26 lb counterweights that come with the mount help balance the OTA’s weight. 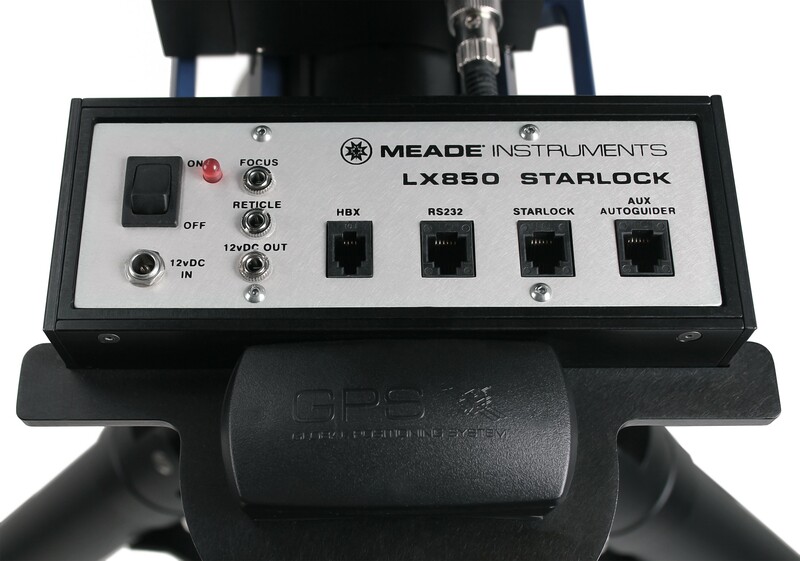 The mount is capable of handling a payload of up to 90 lb. 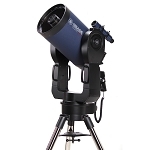 Note: It is advisable that the 14" OTA is mounted by 2 people due to its large weight and size.